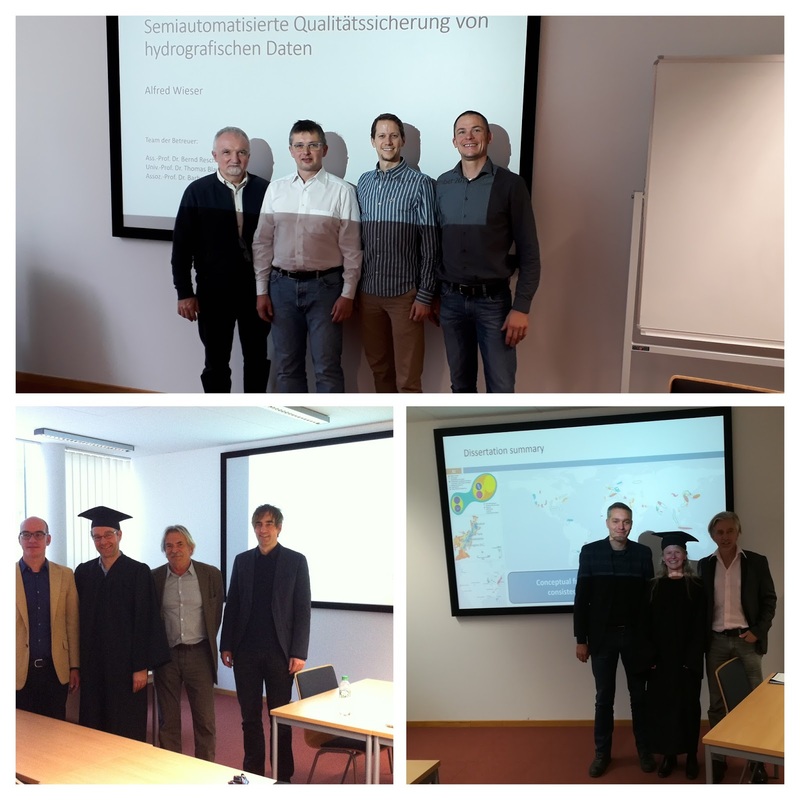 Just before the end of the year 2018 three PhD dissertations have been successfully defended at the Department of Geoinformatics – Z_GIS. Alfred Wieser investigated in his research “Semiautomatische Qualitätssicherung von hydrografischen Daten”in which ways quality assurance of hydrographic sensor data can be automated in order that hydrographic measurement data becomes available? A workflow for plausibilisation, verification, and classification of sensor measurement data for an entire life cycle was developed. The developed model was verified by means of implementation in a use case of the Hydrographic Service Provider of Carinthia. The application of this model proved that formalized expert knowledge together with existing concepts of error analysis and automation of quality assurance processes significantly increases the availability of verified sensor data. Alfred is working at the University of Applied Sciences Carinthia. 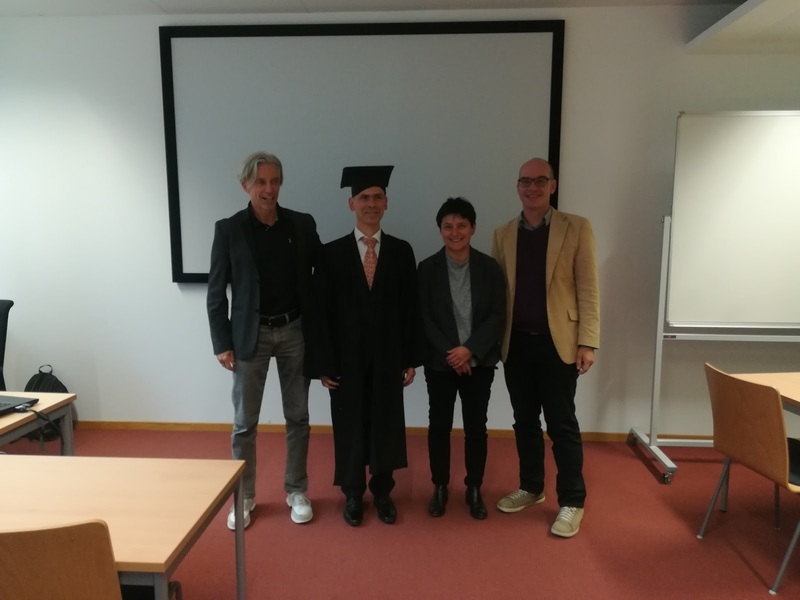 Olaf Kranz successfully defended his PhD thesis “Earth observation in the context of conflict Earth observation for the assessment of environmental changes related to conflict situations in Sub-Saharan Africa”. 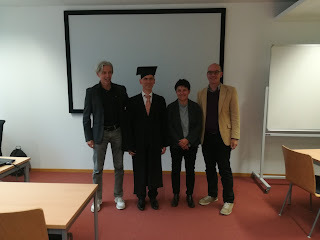 The thesis investigated opportunities and challenges of satellite EO technology for analysing root causes of human-induced crises with respect to natural and/or strategic resources and related conflict situations, and possibly detecting and mapping hot spots.. 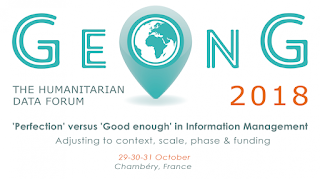 The published articles specifically focused on (i) monitoring and change assessment in support of foreign and security policy and humanitarian relief, (ii) population monitoring and environmental impact assessment in the vicinity of IDP/refugee camps, regional focus on Sudan, (iii) artisanal and small-scale mining and logging in the Democratic Republic of the Congo. Olaf is now with the British Embassy, UK Science & Innovation Network. Fast-growing spatial expansion and merging of urban areas on a global scale generate new forms such as megacities, mega-regions or urban corridors. With populations exceeding tens of millions, extents of hundreds of kilometres as well as international boundaries, these areas pose new challenges to authorities including planning and administration. Isabel Georg examined in her thesis “A multi-source geodata approach to spatially delimit Urban Corridors – Unified concept and Global Analysis” the common usage of the term “urban corridors” and provided a global map. She further developed a method to delineate a sample urban corridor and extended that method to a larger area. Overall, this research provides a framework for a further understanding of the spatial structure of large urban areas based on a spatial analysis of their extent using different input datasets. It will also provide valuable information for urban management and planning institutions. We wish Alfred, Olaf and Isabel all the best for their future career and endavours! 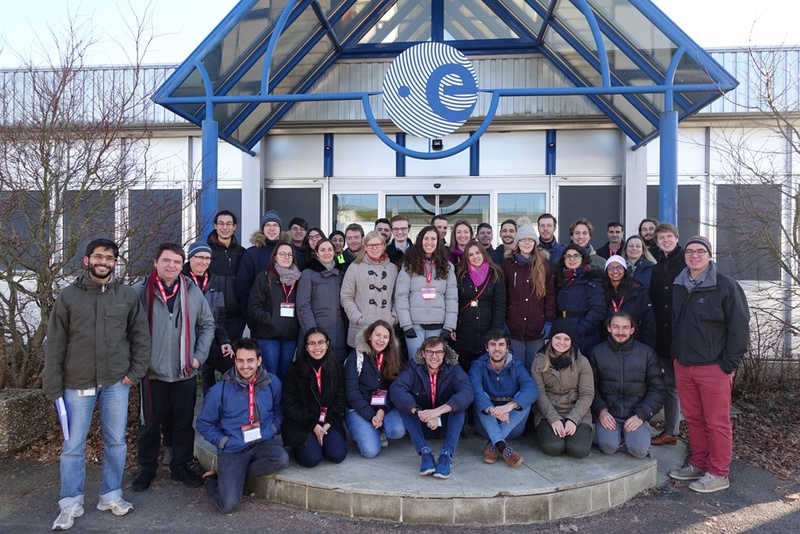 From Dec 10-14, the Earth Observation Remote Sensing Workshop 2018 of the ESA Academy’s Training and Learning Programme, took place at ESEC-Galaxia in Transinne, Belgium. In this 5-days intensive course, 30 selected students from ESA member states received dedicated training on the principles of remote sensing, ESA’s EO satellite missions and issues of data fusion, delivered by experts from academic institutions, industry, and ESA. 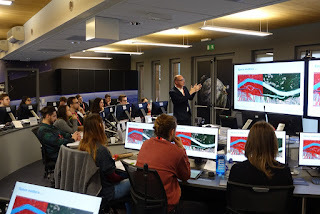 Dr Stefan Lang, Z_GIS, held a lecture and practical exercise in the integrative field of “spatial image analysis”. 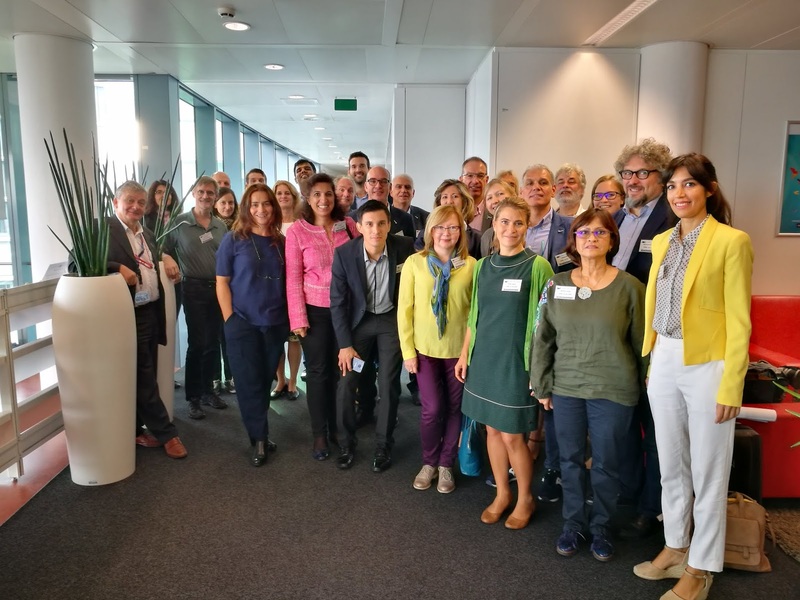 He also shared first-hand experience on future GI/EO related job, user-oriented EO-based services, and the ambition of Copernicus to be (much) more than a data generation system. The investment into our future human capacity in this boosting sector was considered a highly rewarding activity, stimulated by knowledge exchange and mutual discussions. 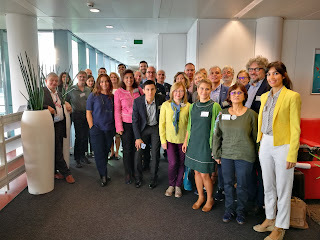 INQUIMUS, latin for “we say”, is a workshop series initiated by Z_GIS and EURAC, which was hosted this year ‘on tour’ in Venice, Italy at Ca’Fascori University . The workshop was titled “Methods and tools to assess multi-hazard risk, vulnerability and resilience” and focused on how quantitative and qualitative assessment methods could boost a transition toward a new generation of multi-hazard risk, vulnerability and resilience assessments. It included four State of the art (SOTA) talks followed by poster presentations and gave place for in-depth discussions among researchers from around the globe and various fields. 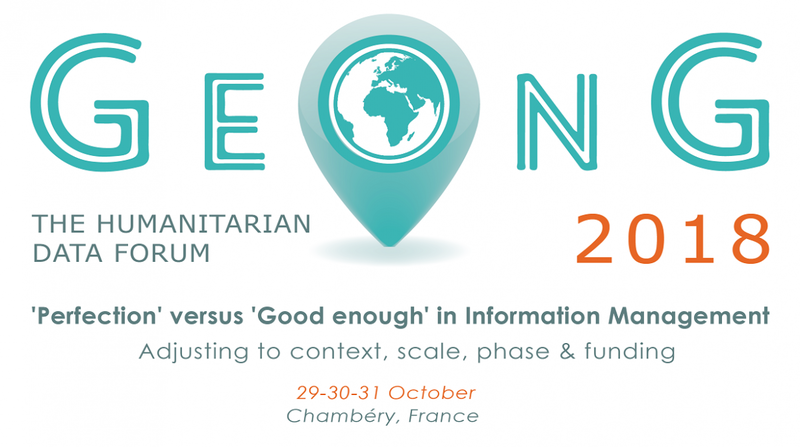 Topics were addressed by scientists and practitioners working in different fields (geographers, physicists, statisticians, informatics, economists, environmental, social scientists etc.) to advance concepts and sharing of best practices in different application contexts (environmental management, disaster risk reduction, emergency planning and climate change adaptation). Multi-risk is a reality, and there are merging risk and threats to infrastructure and humans. We need to understand the complexities and interlinkages between hazard exposure and vulnerability. Risk assessment is needed as there are growing cascading effects and dependencies. Several gaps in risk assessment were pointed out during the discussions: i.e there is no clear definition of ‘multi-risk’, Multi-risk is multi-disciplinary, - and there is a need for different stakeholders to create a framework to carry out risk assessments. Innovative aspects in multi risk as for instance cascade effect tools/ artificial intelligence and how IT can help in understanding multi-risk dynamics and validation were disscussed. With the use of technology, we can represent uncertainties in a better way and improve vulnerability dynamic mapping. People use computers in their everyday life. From navigation systems to shopping planners and smart houses our life is affected more and more by intelligence systems. But how are such systems working and what will it mean to society? Artificial intelligence (AI) is the ability of a computer programme or a machine to think logically, solve problems and to learn. In practice however, most applications have picked on problems which computers can do well. Searching data bases and doing calculations are things computers do better than people. On the other hand, "perceiving its environment" in any real sense is way beyond present-day computing. Generally speking, an ideal intelligent machine mimics human cognition. AI involves many different fields like computer science, mathematics, linguistics, psychology, neuroscience, and philosophy. Sentiment analysis is an essential part of Natural Language Processing, which focuses on determining whether the attitude of a piece of text on a particular topic is either positive, negative or neutral. Markus’ work focuses on evaluating the most cutting-edge technologies in sentiment analysis. In particular, he developed a benchmark tool that measures the accuracy, performance and ratio between those qualities and it supports both English and German language. A system was presented that collects news from various sources (blogs, news sites, etc.) categorized based on the specific topic they refer to. Topics are derived by crawling a predefined set of sources various times a day, which results in a corpora for headlines. The process followed extends the traditional bag-of-words search of articles by taking into consideration queries that focus on word order and various regular expression techniques. Only in some cases text messages can unambiguously be assigned to a location. While there are many methods to retrieve the meaning or the sentiment of a short message like a tweet, localization is still challenging. Recent research demonstrates for extreme events such as floods or Earthquakes that it is possible to construct a spatial footprint of a large body of messages mentioning such events or related keywords. Traditional search of places (e.g. using Google Maps) is performed using simple sets of keywords. This approach is limited since it cannot identify features of place that go beyond place names, such as activities and purposes. To address this, a novel place search process is proposed based on pattern-based representation. Patterns are derived through a combination of knowledge extraction from narratives and probabilistic machine learning based on real world data. Most humans generate spatial traces ones they move. Telecom operators always know where customers are but are of course reluctant to give away personal information. However, some providers started to provide generalized and anonymized data which can still provide the base for analyses which aim to understand flows in cities. But many users provide their spatial footprints voluntarily or unknowingly through their activities in social media. This data help scientists to understand movement pattern but trigger research on geo-privacy.